Day trip discovering medieval Slovenia: visit cosmopolitan Maribor (European capital of Culture 2012) and enjoy enchanting Ptuj, both musts to include on any tour to Slovenia. Why visit Styria (Štajerska)? 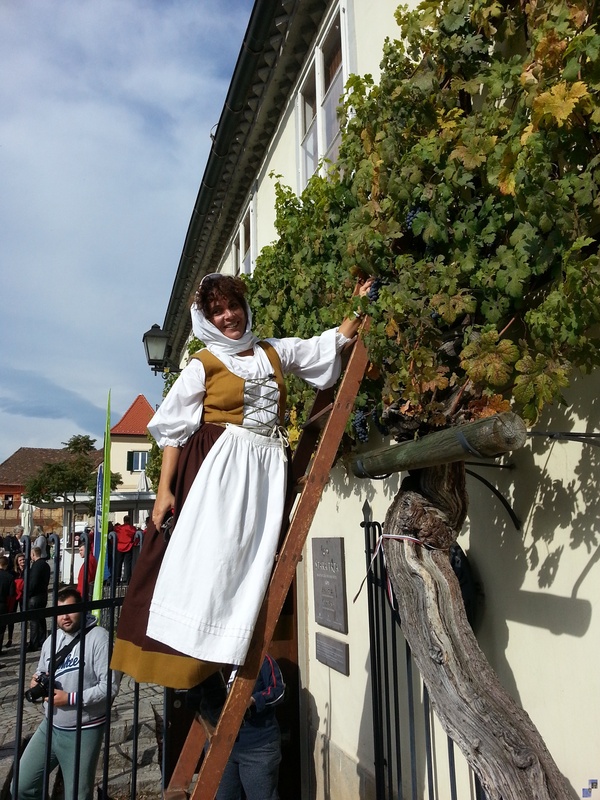 A tour for lovers of Central European traditions, a day trip through the wine-growing region of Štajerska (Styria/Steiermark) and its medieval cities. We start the excursion with Žiče monastery. In the renovated upper part of the outbuilding, you can see a permanent exhibition about the history of the charterhouse; the Otakar champagne cellar is where champagne of the Golden Hill (Zlati Grič) brand from Konjice matures and you can walk in tidy herbal gardens and visit the herbal shop Viva Sana. After the monastery we will visit Ptuj, which is not just the oldest city but also the oldest continuously settled place in Slovenia. Lying by the Drava river, Ptuj was an important stop on the prehistoric Baltic – Mediterranean amber route. Historically it is one of the most important places in the country and its 2000-year history can be felt as you walk through town. You will admire the elegant city squares and townhouses, rich in architectural details and incorporated archaeological objects. A view from the castle above the city is simply breathtaking. We continue our tour towards Maribor, a cosmopolitan city on the banks of the river Drava. Maribor is surrounded by wine-growing hills on all sides. Maribor’s historic core is marked by the Austrian influence, and we will admire the lively and colourful squares and diverse architecture as we stroll through the old city centre. We will also see the Old Vine, the Guinness Book of Records-certified oldest grape vine in the world. The Old Vine is more than 450 years old and still bears fruit, which is ceremoniously harvested each year and made into wine. This exclusive wine is used as a promotional gift for visiting state dignitaries. We will enjoy a wine-tasting session at this magical location.